People allergic to gluten need a special diet. Many manufacturers offer a decent alternative for nutrition in order to diversify the menu for those who have to reduce their diet to gluten free products. It is important to remember that in addition to obvious sources of gluten, there are some “hidden” ones. Therefore, you should carefully study the product label. Based on the fact that gluten intolerance is quite a common thing, many food companies have long been on their way to produce gluten free foods (porridge, pasta, bread, pastries, cereals). 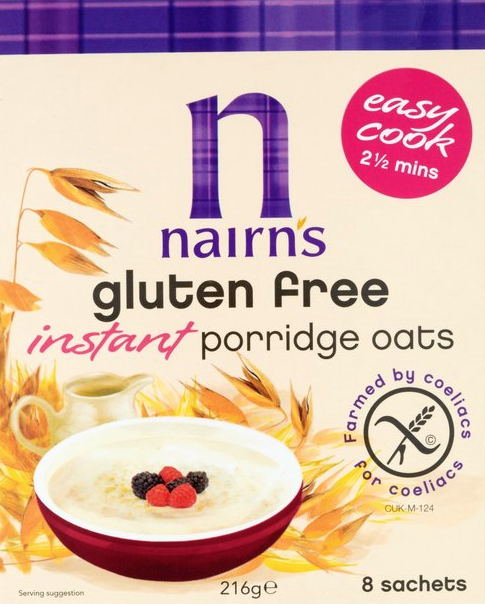 For example, Nairn’s gluten free porridge can be identified among the most famous brands of healthy food. Separate egg whites from egg yolks, mix yolks with milk until smooth. Separately mix buckwheat flour, sugar, salt, baking powder. Whip egg whites to firm peaks. Cut banana into slices. Now mix the flour with milk and stir. Gently introduce the white into this mass. Spread the dough on a heated pan, then put a banana slice on top: fry for 2-3 minutes on each side. Overturn carefully - these pancakes are very tender. Cooking process: Slightly whip the eggs with milk and salt. Add buckwheat flour, mix well, then pour a spoonful of vegetable oil and mix again. Fry on both sides in a pan without oil. Slice ​​cheese and spread it on top of each pancake. Make a cup of coffee and enjoy your breakfast. Grate pumpkin, put it in a semi-boiled rice and continue to cook, stirring frequently. Salt and put in a dish, pour some oil and serve. Grind corn into gluten free flour. Pour the water in a saucepan and boil. Pour boiling water over corn cereal, stir well and bring to the boil. Turn it off and place in a preheated oven for 20 minutes. Then take the gluten free porridge out of the oven and pour a glass of hot boiled milk, add a pinch of sugar.